The single use vaginal speculum from Wallace Medical offers a real alternative to traditional metal types. Not only does the device provide all the benefits of avoiding cross infection but is has also been designed to withstand 5kg of load applied to the beak tips. 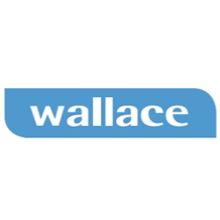 The Wallace ring pessaries are available in a wide range of sizes to suit all patients. The flexible material is intended to provide comfort to the patient during fitting and duration of use. Designed to ease uterine prolapse and other uterine displacements.